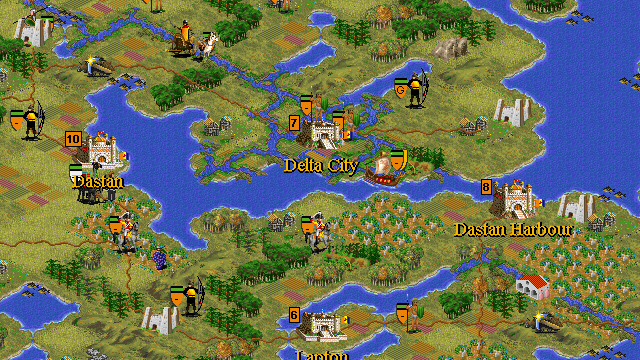 A scenario for Civilization II: Multiplayer Gold Edition by Paul Hanson. In 651, the King of the Destari, Julian IX, divorced from his wife, Queen Helena. Helena left the Destari Kingdom and set off across the Eastern Ocean with her daughter, Princess Julia. Prince Julian remained with his father in the Destari Kingdom. It is now 673. Prince Julian is now Julian X of the Destari. He never regained personal contact with his sister, although tales told by roaming travellers tell of a kingdom to the far east of the Destari lands, with a female leader. But finding his sister is not top of Julian`s priorities. 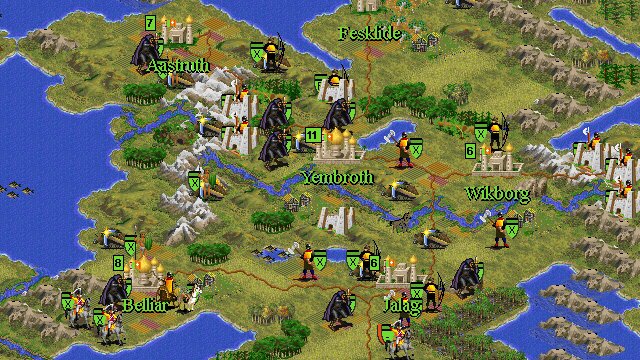 The Destari are under attack, from the Sea Pirates in the east, and from raging hordes of monsters from the Haunted Wastelands in the centre of the Destari Kingdom. Aided by their allies, the Noress, the Destari must fend off the attacks from the Pirates and the monsters, plus Julian must regain contact with his sister.